The Advancement Office leads fundraising, community relations, communications and marketing for the school. Our team members work closely with parents, Old Boys, alumni families, faculty, staff and other stakeholders on a variety of initiatives. We offer a variety of community-building events for current families as well as programs to keep Old Boys and their families connected to SHS. Every SHS student becomes an Old Boy when he leaves the school. We encourage Old Boys and their families to visit the school and keep connected to SHS. Jill oversees the Advancement Team to ensure fundraising and friend raising are at their best at SHS. She has dedicated her career to working in the charitable sector, serving a variety of causes on staff and as a consultant. Jill attended Branksome Hall and has served as its Interim Director of Advancement, as well as Director of Advancement at Crescent School. She is a graduate of McGill and Carleton universities and is a Certified Fundraising Executive. Megan is the point person for the school's database and supports the school's advancement efforts in the areas of annual giving, communications and research. She has a demonstrated history of working and volunteering in the elementary and secondary school systems. Megan also moonlights as a piano accompanist for the winter and spring concerts at SHS. 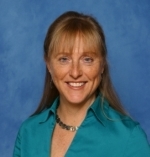 Christine is responsible for the planning, co-ordination and implementation of key events within the school community, including events for students, parents, alumni families, Old Boys and volunteers. She is the liaison for the Parents Association. Christine has worked in the not-for-profit sector for more than 25 years and brings extensive experience in fund development, events and volunteer management.